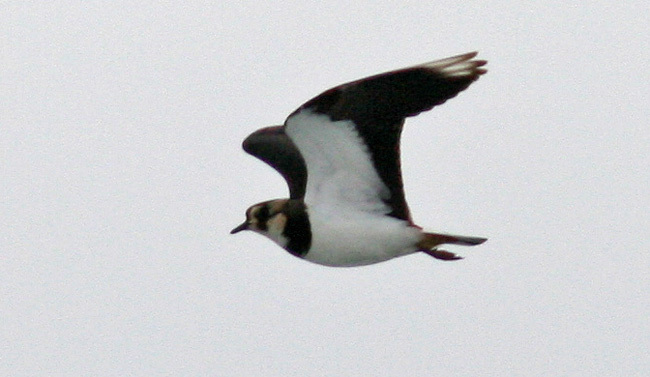 A Northern Lapwing was just reported flying over a pond here in St. John’s … the news is just a couple hours old at this point, but so far it hasn’t been refound. No doubt it is in or near the city somewhere. Northern Lapwings are very distinctive in flight, just like this one that Bruce Mactavish and I discovered at Long Beach (near Cape Race) on January 15, 2011. Northern Lapwings are a nearly annual, yet still very exciting, visitor to Newfoundland – and although most do show up in late fall and early winter, late October certainly on the early side. 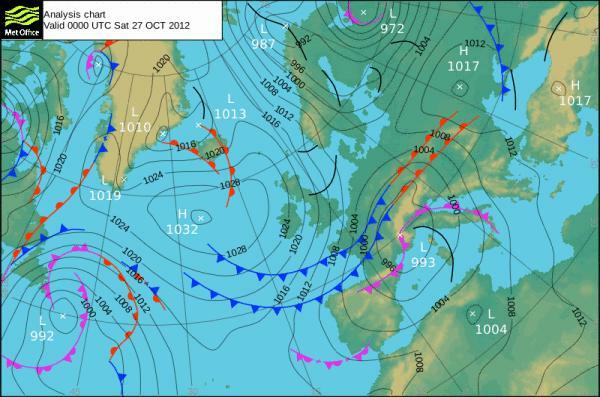 The weather has been set up just perfect for the past 24-48 hours, with a large high pressure system having moved northwest out of Europe and over the North Atlantic. There could certainly be more European vagrants out there!! The surface pressure map from this morning shows the remnants of a great trans-Atlantic weather system that was lined up perfectly to bring more European vagrants to Newfoundland! Stay tuned for updates and/or more news! !